They will eventually reach a point where 1st gen cards will be rejected ... Be long way off yet I would suspect. I would certainly hope it's a long way off yet or it'll just be something else to put people off bus travel. It will be whenever the company that supplied them stops supporting them. You do not want to have to develop enhancements on unsupported hardware. They should just get around this by giving them an expiry date like a credit card ... Say approx 3 years from date of issue ... So 3.5 years from manufacture. I don't see how this would put them off bus travel, provide adequate notice, signage and a means of identifying what type of Oyster you have and everyone will quite probably happily change their Oyster card. For everyone that does have an Oyster it's not going to be hard to get to a Station and get it replaced. I don't think people will stop using buses because their 10 year old Oyster Card will be no longer compatible - a number of people have probably lost Oyster Cards, had them stolen or damaged during this time so have had a replacement card at some point. Press releases have no legal grounds ... so if they change their mind ... They change their mind. I see TR has already provided some info. I have a 1st generation card for some PAYG journeys but it's too much of a hassle now to swap it over and get the discount entitlement moved over. It would be fine if there were still LU ticket offices but, of course, they've gone. Ticket office staff generally knew how to do complex stuff. I'm afraid some roving staff really do not know all the aspects of their job and I am not really prepared to be "done" for fare fraud because of an unwitting staff error. If your Oyster cards are registered and you have an online account then TfL would automatically have notified you if you have any 1st gen cards. I have an Oyster a/c for my card - I would recommend having one if your cards are not registered. I think the "force" element will not disable or limit use of cards. Reading between the lines of what is in the TfL paper it looks to me like station ticket machines will be updated to warn people about any 1st gen cards they hold and possibly offer a routine on the machine to surrender the card and buy a new one there and then. I don't see this as affecting buses with "instant swap out squads" appearing as per your example. It seems very clear that TfL are banking on the Oyster App becoming very important - there is certainly an item in the list of initiatives about allowing concession products such as Railcards to be registered via a mobile phone and the app which would solve a significant issue about how people confirm their entitlement to discounts and would seemingly allow people using CPCs but who also have Railcards to benefit from the discount on their fares. This is because Contactless account info is to be integrated into the Oyster App later this year. A few years ago, in my capacity as a bookseller, I was asked how long 'old style' Book Tokens were valid for (i.e. those with a stamp of a certain value stuck on to a gift card). I replied 'forever' at which point the enquirer produced one for seven shillings and six pence (that's thirty seven and a half pence in new money). I said I'd certainly honour it and, more out of amusement than anything, later rang Book Tokens Ltd to ask how I'd account for it in my next statement. They replied that they'd send me a specially-produced form for reimbursement, and they did! Seriously, I've got two old Oystercards, neither registered, and I would expect to be able to use either without let or hindrance. My times in London now start at my sister's place, on a frequent bus route, but nowhere hear a shop of any description let alone a railway station (and the latter are all NR) so changing one at the start of a day's travel would be impossible. Next week's Board papers are now up (20 March 2018). The crucial document is the draft budget for 2018/19. Despite all the back slapping about how patronage has "stabilised" this year the predicted number of pass jnys for 2018/18 is 2,236 which is 9m down on the forecast for this year. More worryingly it is 12m down on what was in the business plan only published a few months ago. Clearly TfL are not expecting much improvement. This text is also a bit concerning. Bus services are now more reliable than they have ever been, and bus speeds, which suffered significant decline, have now stabilised and are improving, reversing a long-term trend. We have introduced more than 120 bus priority schemes and reviewed traffic light timings and other measures to keep the bus service moving. This means that buses that were added into the schedules to compensate for poor reliability are no longer needed. London, is changing. Improvements to the Tube and the introduction of the Elizabeth line, together with more people walking and cycling, have enabled bus services to be restructured. This will maintain bus reliability in central London and other town centres, and also ensure a high quality public realm, in line with the Healthy Streets Approach. We are looking to minimise overlapping services, with interchange supported by the introduction of the Hopper fare, which will improve environments. The biggest example of this is Oxford Street, where we will remove bus services altogether, subject to consultation. Removing excess bus capacity not only improves the environment, it reduces congestion, improves safety and avoids wasted money. This approach has enabled us to hold the operating costs of the bus network flat. The total number of bus kilometres operated will reduce over the next two years. However, there are areas, particularly in outer London, where demand is growing or is likely to grow alongside new housing and job growth. For example, we are reviewing services in Thamesmead, Lower Lee Valley, Barking Riverside, Wandsworth Riverside, Hillingdon and Colindale. In some cases, new, enhanced or altered services can be implemented ahead of housing development, and will sometimes need to respond to observed increases in demand. "sometimes need to respond to increases in demand" - in other words only when lots of people are being left behind. Otherwise get used to crowded, congested buses. Note the self congratulatory "improves the environment" self justification for axeing bus services. Funny I thought we were supposed to have a green bus fleet fairly soon and that encouraging people to use buses rather than cars was a good idea? How stupid of me. Our bus network is more reliable than it has ever been, and we are continuing to see signs of patronage recovery as a result. Year-to-date, our passenger journeys are 36.3 million, or 2.1 per cent, higher than budget. This improvement is partly as a result of more than 120 bus priority schemes that we have introduced across London, as well as reviews of traffic light timings for buses. Going forward, we will be looking carefully at how to optimise the bus network to meet the changing demands of the city. A more reliable bus network means we do not need to provide as much redundant capacity, which can lead to bus-on-bus congestion. We have already done this successfully in Oxford Street, and we will be considering other corridors of very high bus frequency such as Kingsway, which currently sees more than 100 buses every hour. Taking buses out of these congested central London areas will allow us to reprioritise areas of inner and outer London to support their growth. We will be publishing more detailed plans for the development of our bus network in our Business Plan later this year. Note the reference to axeing overlapping services with Kingsway clearly targeted next. Note also the "detailed plans for developing the bus network" - Bus Reshaping the 2019 version due in December this year (that's usually when the business plan emerges). I think the Khan Mayoralty will be marked by the massacre of the bus network. This makes me worry about other corridors such as Brixton Hill & Streatham - neither area has been particularly looked at for a long while bar and with this talk of looking at high corridors, will they plan to unleash some horrors here. As for the bit about reducing congestion & improving the environment, pull the other one - the bus fleet is greener than practically any other mode of transport bar cycling (you only have to see how many cars are still running around belching out fumes to know this) and if TfL seriously wants to reduce congestion, actually target the offenders like the many cars on the road. Bus routes could then speed up and end up more reliable as a result rather than throwing out incorrect statements. 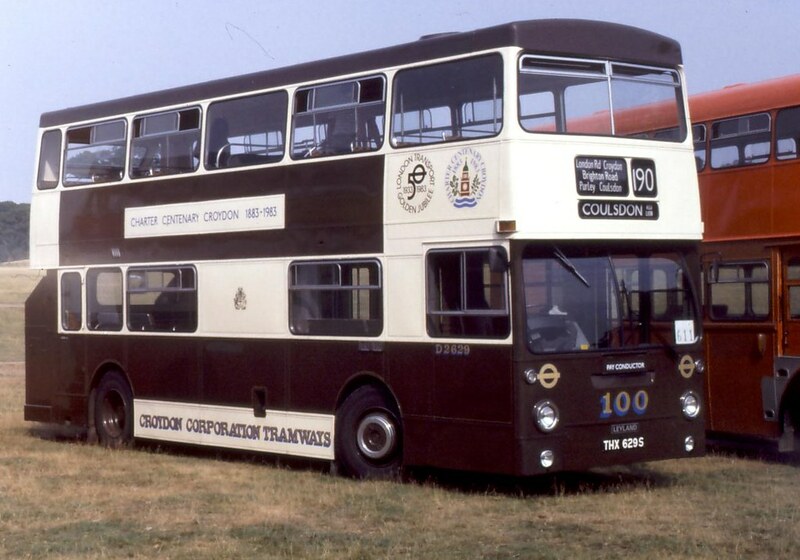 If you start with the premise that having more than a certain level of bph on any given stretch of road is wrong, rather than enquiring why so many buses have been considered necessary, and why a selection of routes provide those services, then you can start pruning away without regard for passenger needs. Even if you do accept that Kingsway has 'too many' buses passing along it, then you first consider alternative routeings for a proportion of them. If none are available, or only with considerable inconvenience to passengers, then you should question that premise or come up with a really radical alternative e.g. making Kingsway a bus-only road, or building an underground roadway for use by public transport. Brixton is only such a hotbed of bus operation because of the inadequacy of alternative public transport. The Victoria Line is wonderful, but just imagine if Finsbury Park was its northern terminus, disgorging thousands of passengers there per hour. This is the situation at Brixton; the South Eastern does manage 4 trains per hour into Victoria, and, more importantly, out towards Bromley etc these days, but for donkey's years when I used the line it was 2tph even in peaks. The station is also exceedingly unsafe/scary during hours of darkness. The bus rules because, without it, many would not be able to get around. Chanting 'hopper fare' when not chanting 'Elizabeth Line' is not only inappropriate but grossly insulting to anyone with half a brain, but it does seem to be becoming the stock answer to any criticism from TfL, the Mayor and his acolytes.. I think the 68 would be needed at peak times but I could well see it being reduced to a Mon-Fri peak hour only service as indeed the X68 is of course. I've said before that both the 68 and 171 between Holborn and Camberwell are a bit excessive off peak. That's a good point about Brixton and ideally the Victoria Line would go further south. The Southeastern station is one of the worst in London, even Elephant & Castle looks good by comparison. I think the hopper fare is here to stay, I've just got back from a few days in Berlin and they've got something similar there with a single ticket being valid for two hours on bus, train or tram although it can't be used for a return journey. I think the hopper fare is here to stay as well: I'm not against it per se, I'm against it being pronounced as a cure to all known ills when it is nothing of the sort, and the increasing use of its existence as an excuse to make some route changes that really should not happen because of the numbers who wish to make use of a 'through' service. 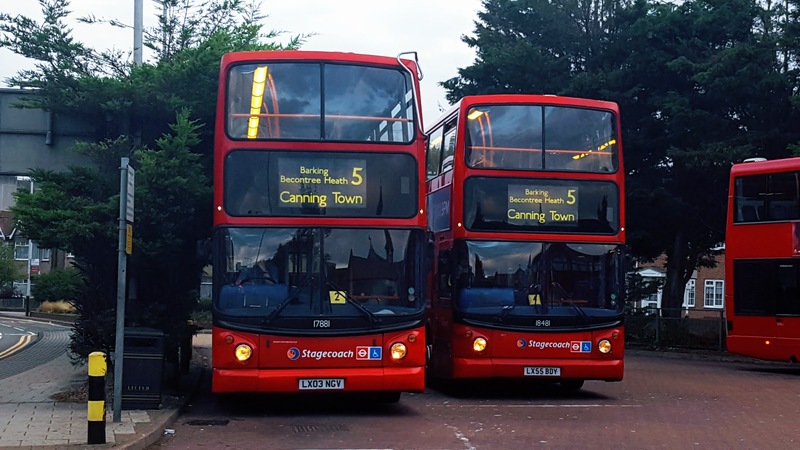 I can't see the 68 being retained as a peak service, though: despite their professed dislike for the practice, I think it more likely the 468 could get peak short journeys from Norwood Garage, and the 168 from Euston Station, in the central London direction. Maybe journeys, rather than a regular interval service.